This month's post is a little bit different as John Lewis asked me to take a look at their own summer beauty edit (Super Nature), here. They've focussed on products that use natural ingredients, which is a must for me. Whenever I see a website's round up of bits I always expect that half of them will be what I'd go for, but their selection was completely spot on (pun not intended). 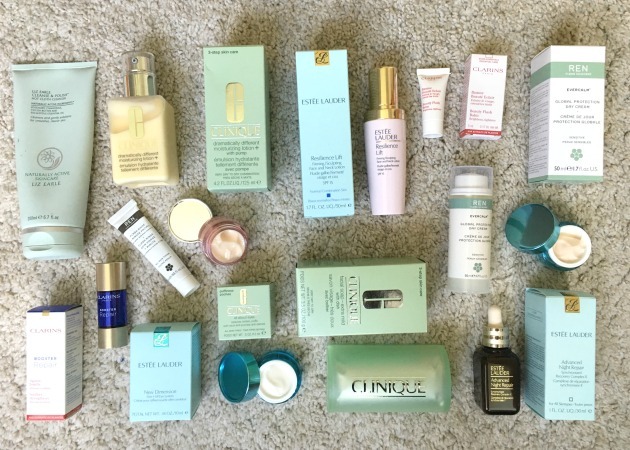 They have all my hero brands for a thorough detox on my skin (REN skincare, Charlotte Tilbury and Origins) as well as new things I was dying to try... I decided to only use things I'd never used before, and was sat like a kid by the fireplace at Christmas waiting for them to all arrive. I hope this list helps you, this time of year is so tough on skin. For full details on all of the products in the John Lewis edit, click here. This post was sponsored by John Lewis, all words my own.